Cinetopia is a great place to go and see a movie. With the different types of seating, there is something for everyone. In particular, the large leather reclining chairs are very comfortable, and make it feel like you are at home watching a movie (with the added bonus of a huge screen and high-quality sound). 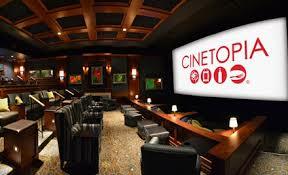 Be the first to mention this post at our Leawood office, and we will give you TWO movie passes to Cinetopia.